High-speed electric. Designed for many uses. Buffing, scrubbing or stripping floors. Equipped with tank for carpet shampooing, both wet and dry methods. Low-speed electric. 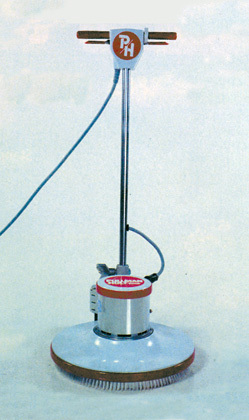 Designed for buffing, scrubbing or stripping floors. Equipped with tank for carpet shampooing, both wet and dry methods.